These presentation slides 39285 are complete compatible with Google Slides. Simple download PPTX and open the template in Google Slides. Enjoy this adorable Sun and Clouds Shapes template created in a cool bright casual style. 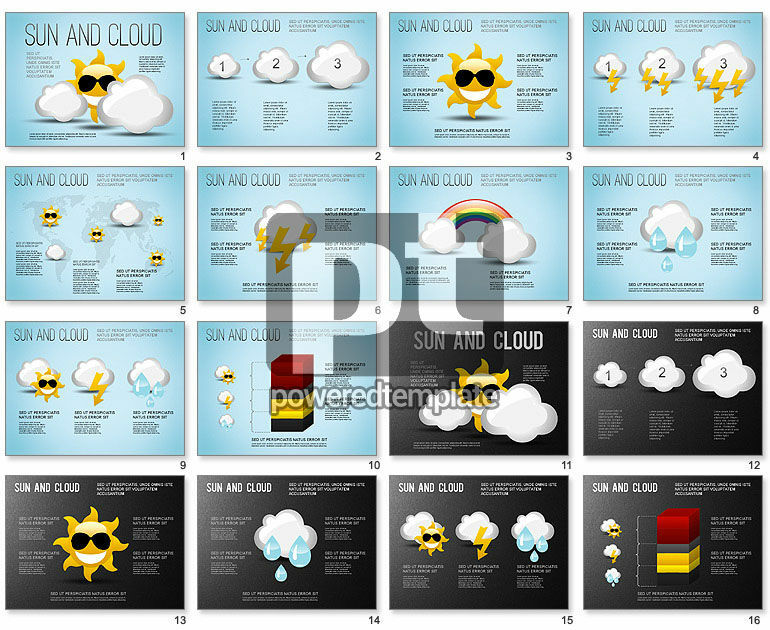 It` ideal for presentations dedicated to all kinds of weather forecasts, as there are many clouds of different sizes, lightings, the sun in the sunglasses, a rainbow, rain drops and so forth. This extraordinary sample may suit many fields of business, media, tourism, education and other spheres.